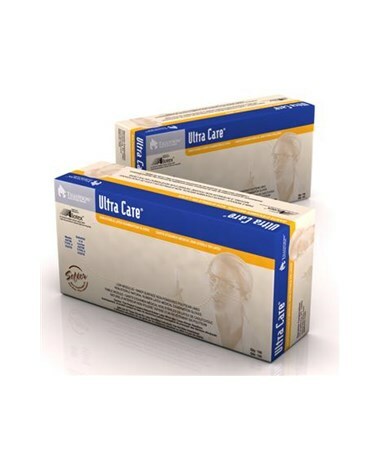 Ultra Care Latex Exam Gloves are manufactured with a Patented Allotex enzyme-treated latex which reduces latex allergens by as much as 99+%. The low modulus formulation creates the ultimate experience in comfort and stretch. 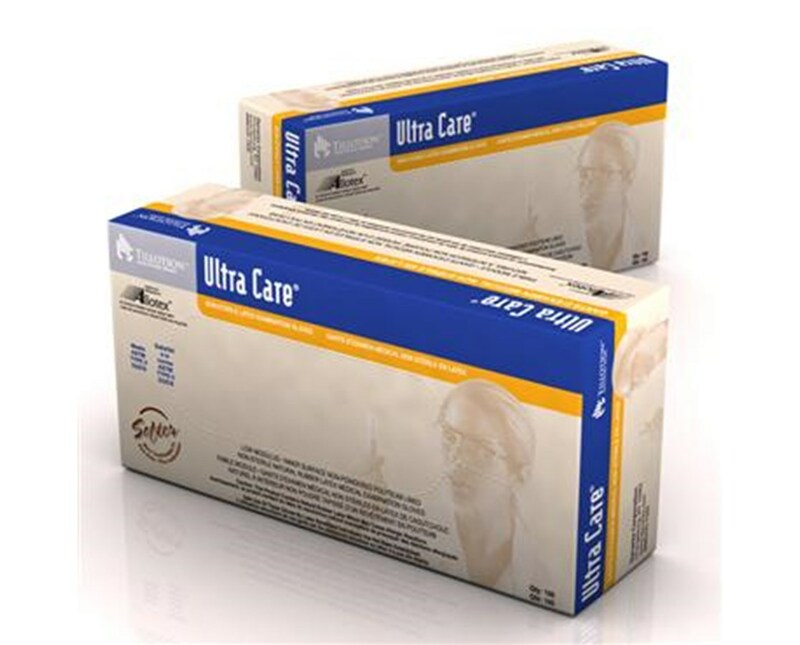 Ultra Care Latex Exam Gloves are powderless and polymer lined making them ideal for those with sensitivities to donning powders of gloves. The polymer lining allows for the gloves to be easily donned over wet or damp hands. The exterior surface of the gloves are treated with a trace of calcium carbonate creating a unique surface. This unique treatment process makes double gloving easier than ever with the inside surface of a second glove gliding effortlessly over the first. Superior grip and tactile sensitivity are maintained by this process. This is a perfect combination for dentistry.